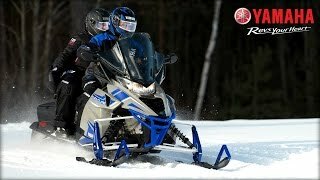 2018 Yamaha Touring Series SnowmobilesAll-day comfort, and undeniable reliability is what you get with Yamaha's 2018 2-up touring and utility series snowmobiles. SUBSCRIBE to "Yamaha Motor USA" on YouTube: For more Yamaha visit Follow us on: Instagram Twitter Facebook Pinterest Life can have many exciting, memorable experiences. Creating opportunities for them is what Yamaha is all about. 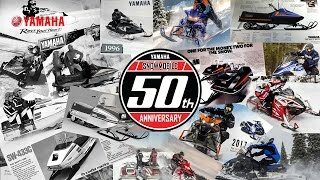 50 Years of Yamaha SnowmobilesA look back at Yamaha’s rich tradition in the snowmobile industry. SUBSCRIBE to "Yamaha Motor USA" on YouTube: For more Yamaha visit Follow us on: Instagram Twitter Facebook Pinterest Life can have many exciting, memorable experiences. Creating opportunities for them is what Yamaha is all about.